There are numerous pay per click advertising advantages. The key to making pay per click marketing work for your business is by determining exactly which features and strategies to take advantage of. It is possible to drive calls with pay per click advertising directly from the search engine results by setting up a Call-only campaign. A Call-only campaign allows you to show ads only on mobile search results and only gives the user the option to click-to-call from the ad. They cannot click-through to your website. This is a great option for businesses who do not have a mobile-friendly website or if calls are worth more. Optimizing landing pages can also increase call conversion rates. On mobile devices businesses should prominently display click-to-call buttons with strong CTAs pushing the visitor to call. On computers and tablets the company phone number and CTAs pushing for calls should be visible in multiple places on the page. Another pay per click benefit is the ability to control costs setting budgets. As a pay per click advertiser, you can decide how much you want to pay for clicks from specific keywords, devices, locations and more. You can spend more of your budget on what you know works and set up limited budget tests to try new strategies. With pay per click you only pay when a potential customer clicks on your advertisement. 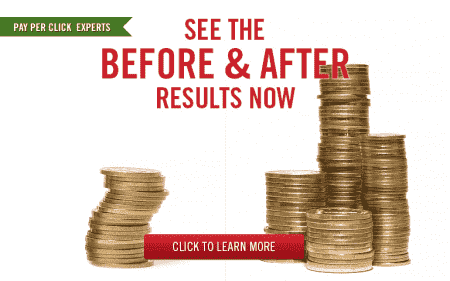 There are no fees for placing an advertisement on the results page of a search engine. This means you will still be generating brand awareness when a person does not click on your ad, and you pay nothing for it. After a click on a pay per click advertisement, a customer may then save your site on their computer and come back to your site later. They might even forward the link to a friend, or better yet, they will fill out a contact form, call or purchase something from your site. Pay per click advertising also allows you to target your advertisements so they only appear to qualified customers. Targeting options such as language targeting, location targeting, demographics targeting by gender and age, as well as time of the day and day of the week targeting, allow you to hone in on the audience that is most likely to turn a click into a conversion. Pay per click also puts businesses on a level playing field. A small business has just as high a chance of winning at a keyword bid and placing high on a search engine results page as a large company when they choose keywords specific to their business goals, optimize their pay per click advertising campaigns, optimize their landing page, and take advantage of targeting tools. While the concept and benefits of PPC may be simple, it doesn’t undermine the importance of hiring a qualified pay per click management firm. The complexities around successfully managing a pay per click advertising campaign are best handled by a professional. For some examples of where pay per click can go very wrong, take a look at these pay per click disasters. We have been managing pay per click for well over 13 years. 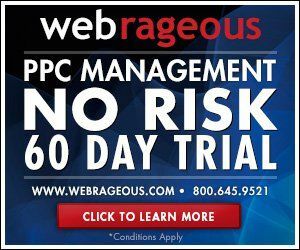 We’re so confident we can improve your pay per click advertising campaigns we offer a 60-day risk free trial! Don’t wait, call us at 800-645-9521 or complete the contact form below to find out how we can help you take advantage of pay per click advertising. Why is Link Building Essential to Google AdWords Pay Per Click?What Makes a Top Pay Per Click Manager?